WHEN: Wednesday, Feb. 5, 8pm. This project is made possible thanks to a ScriptWorks Commission grant. For information about ScriptWorks programming or membership, visit them online. Nellie Kurz is a Costume Technology student at UT Austin. 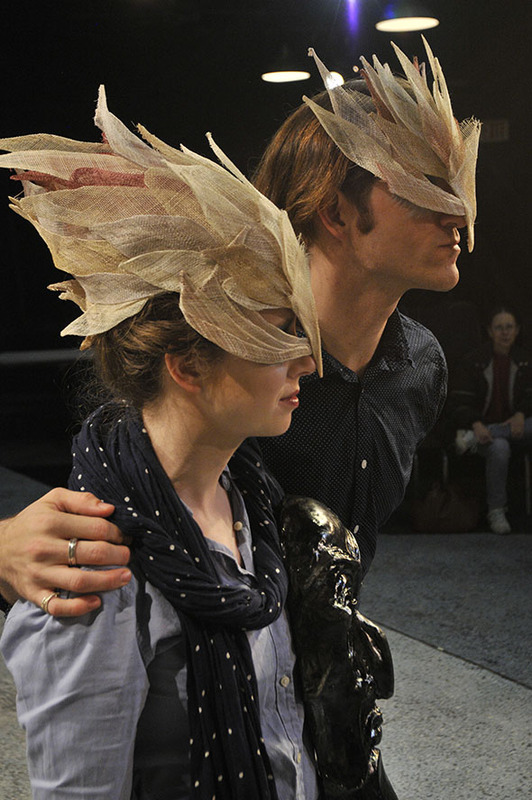 For her thesis, she’s building masks loosely inspired by the myth of Icarus, around which playwright Briandaniel Oglesby and an ensemble are creating a play. Traditionally, a playwright writes a script that a team of theatre artists interprets. 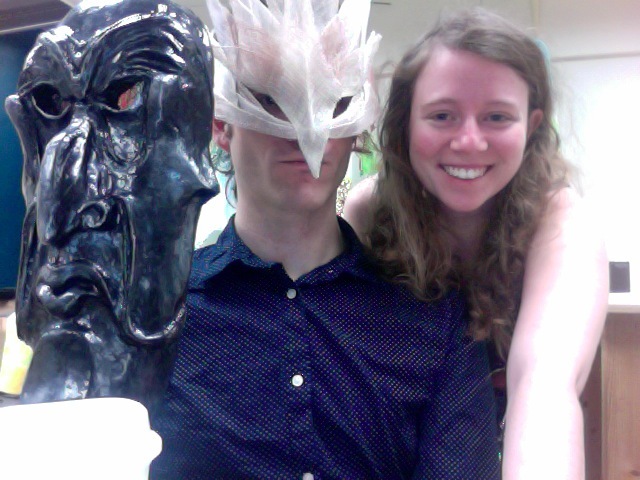 Here, a designer creates a mask that a playwright interprets. We’re interested in what happens when, in a mask-driven project, instead of stripping away language and focusing on visuals, we add layers of language. The FrosteraFest version is a pilot so we can see how it works. Over the next two months, we will expand the text to incorporate more masks, characters, and story, presenting a longer version titled Fallout of the Sky at UT in mid-April. 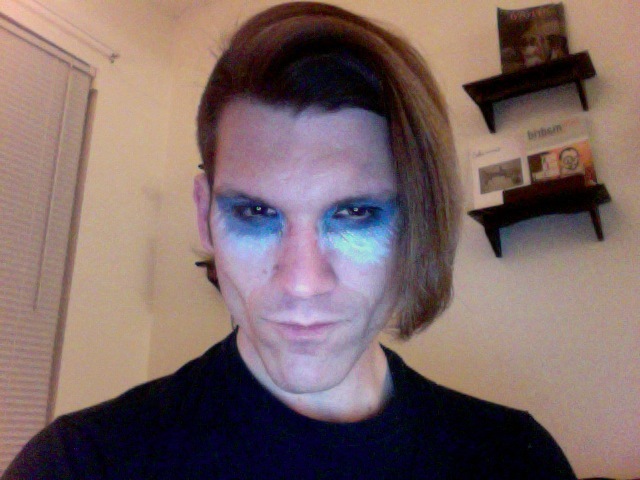 Briandaniel in makeup for the photoshoot.